Contraband is eye candy for the action junkies who like their crime in huge scoops. I can see why Contraband has been set for release in January, with December being action/adventure month this gem would have been buried in their dust. And that would have been a shame, because this gritty story has a lot going for it. With non-stop thrills, chills and spills this film entertains big time. Andy (Caleb Landry Jones) has to dump his smuggled drugs overboard when the coast guard boards his ship. But Tim Briggs (Giovanni Ribisi) for who he pulled the job blames him for botching the gig. He offers Andy an out; pay back the huge amount of money they lost in the purchase. Andy ends up in the hospital where his brother in law Chris (Mark Wahlberg), an ex smuggler, hears out his story. Briggs won't back off the debt so Chris promises him that he will get the money to repay. When he gets his old gang members together to purchase some counterfeit bills in Panama, Andy makes a bad decision starting a high-speed chain reaction. The film has a lot of wrecks, gunfights, brutal beatings, and a kidnapping all rolled into adventure enough for two films. What makes this film stand alongside movies like Killer Elite, The Expendables, and The-A-Team comes with the unexpected. Like in those you are given a problem and they have to come up with a solution. It's the twists and turns with surprising results that make the films different and fun to watch. I enjoyed watching the effortless acting of Wahlberg especially when he has such a great support cast like Kate Beckinsale who plays Chris's feisty wife who gets kidnapped in an attempt to force Chris to abort his original plan. Then there's Ben Foster who plays the part of Chris's best friend Sebastian who seems to cause more trouble then expected. But the showstopper-acting job in this movie comes from Giovanni Ribisi who plays Briggs one of the meanest killers on screen. He makes his character threatening, brutal, frightening and evil, you know, the type of guys that make your skin crawl. With an Icelandic name like Baltasar Kormákur, you would think that this guy would be making films with ice skaters, but not him. The only ice that Baltasar shows comes from his veins that control his need for conflict. And conflicts are at the center of Contraband, which he fills with explosive situations, brutal vengeance, cunning escapes and crafty twists. Contraband has been rated R by the MPAA for violence, pervasive language and brief drug use. The film also contains some brutal acts and gory images. Download Contraband from the iTunes Store in Digial HD. 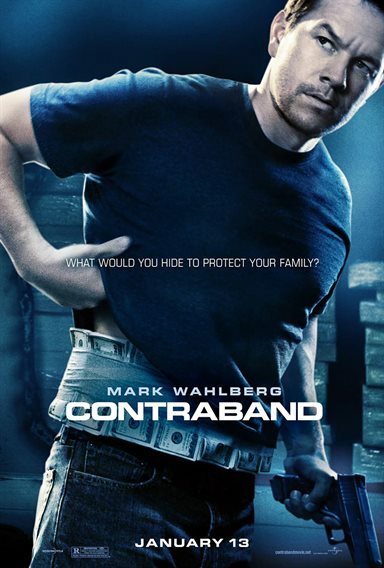 For more information about Contraband visit the FlickDirect Movie Database.